Explore the Ocean Deep in a Sub Named Idabel. 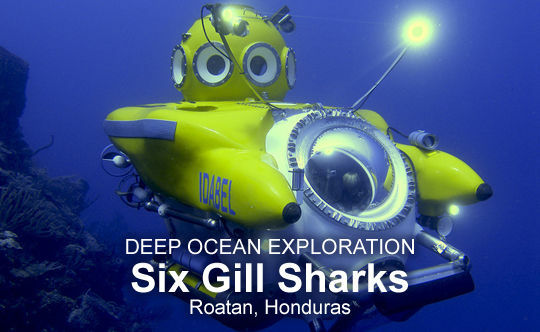 Our new six gill shark adventure launches from the tropical island of Roatan, located off the coast of Honduras. 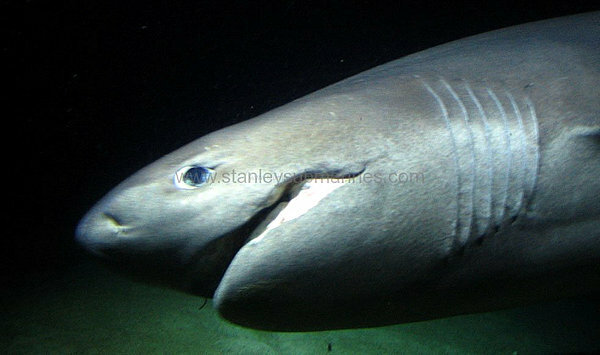 The six-gill shark is one of the largest but least known predatory sharks in the world. 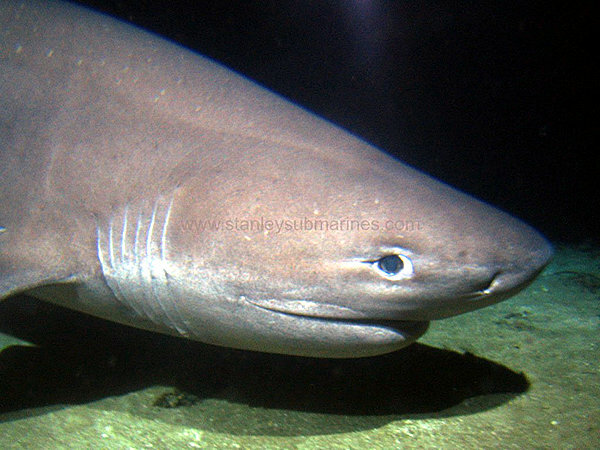 Six gill sharks, also known as cow sharks, are rarely seen because they spend most of their lives patrolling depths of 300 to 6000 feet, swimming into shallower waters only at night to feed. Six gill sharks are thought to live to be 80 years old and grow to more than 18 feet and 800 pounds. Observing one of these gentle giants from the comfort of Idabel is truly an incredible adventure. Your shark expedition begins after sunset and takes you 1500 feet down into darkness where you’ll sit and wait in anticipation. Typically, after a wait of one to three hours, she’ll arrive, lured by the bait attached directly to the sub. Ninety percent of the sharks observed in Roatan are female, a mystery that Captain Karl and the Roatan Institute of Deepsea Exploration are helping to solve. 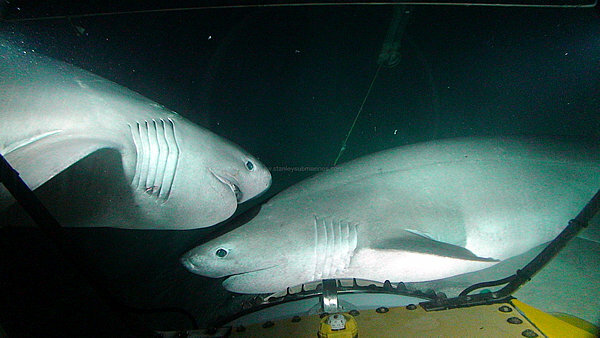 This dive cannot be done during a full moon (the extra light keeps them too deep) and participants must be willing to spend up to a total time of 9 hours inside the sub at temperatures as low as 50 degrees. 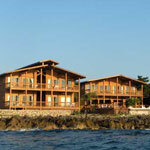 Roatan lies about 40 miles ( 65 kilometers) off the northern coast of Honduras. The tropical island sits on top of a coral reef and is known as a diver's paradise. Deep water close to shore allows Idabel to operate from a dock and not a support ship. 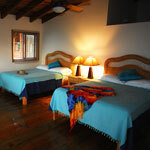 Typical daytime temperatures in Roatan hover in the mid-80s F and nighttime temperatures are in the upper 60s F.
Your adventure includes transportation from the airport in the town of Coxen Hole to and from the Cocolobo Hotel, in the tourist town of West End. 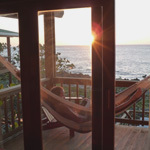 Several major airlines offer direct flights into Roatan, or you can take a connecting flight from the mainland. Idabel's dock is located just a short walk from the hotel.